Did you miss Monday’s live stream of the City of Heavenly Fire launch party in New York City? 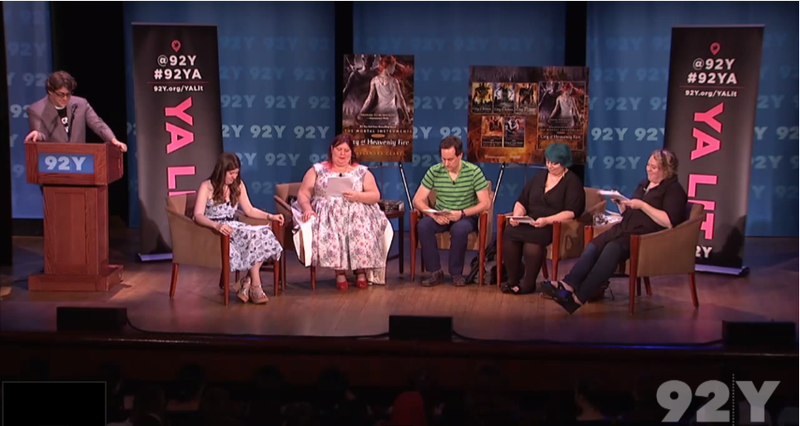 92Y has posted the full panel featuring Cassandra Clare with special guests Josh Lewis, Maureen Johnson, David Levithan, Holly Block and Kelly Link. 3:09, I can see myself in the crowd, and it is SO freaky! Going to this event was such an amazing experience, and watching the video over again was just hilarious. And when Maureen joked, saying “7 people that die” or whatever, it felt like a good 20 minutes of whats, not 5 seconds.